When author and pastor Eugene H. Peterson created The Message, he took the colloquial quality of the ancient Hebrew and Greek originals and put it into the American English that people use in their workplaces and around the house. What makes The Message a unique translation of choice is it is written in verse-numbered paragraphs in a single-column format, making it like a novel. 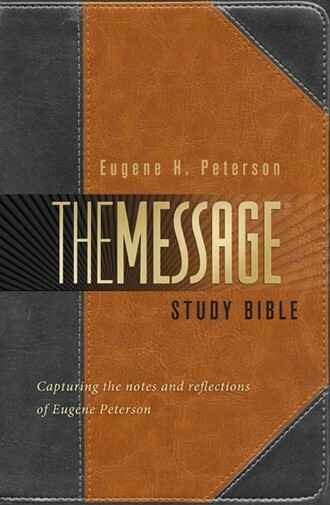 The Message Study Bible combines this best-selling contemporary translation with personal insights from Peterson’s lifetime of studying God’s Word. Upgrade Pricing Available! If you've previously purchased a qualifying item, like the Message Bible, you can purchase this item for a special upgrade price. The upgrade price will be visible when you log in to your Olive Tree account and add the item to your cart (NOTE: Upgrade pricing is only available on www.olivetree.com, and not via in-app purchase).